Hello friends, it is that time of the year in which I am actually starting a topic again can you believe it? Uncharted 4, Battlefront and Doom all for the PS4 I got all three of those for 79 euros at my store. They had that as an offer. Uncharted 4 I picked because I loved the first one, and this one looks amazing as well although the gameplay still seems to be stuck in 2007. I never played 2 and 3 though and sadly I couldn't find the Nathan Drake collection so I have to go elsewhere next week or so before playing 4. Doom because it looks cool as hell and it is from the same guys who made my Goty 2014 Wolfenstein The New Order so I simply couldn't go wrong with that. Oh yeah Battlefront is the only game I tried so far, cause I am not at my own place right now. So what game(s) have you bought recently and why? If you want you can give your first impressions as well, but if you want to go into more details, then just look if a topic for your game is available or create a new one. At the most recent Steam sale, I actually bought something as well. I bought the entire Borderlands franchise for myself and a friend, and we're going to play through them all. It was about $80 for the entire franchise, DLC and all, for the both of us. So I think it was a good deal. I also bought the Stanley Parable and Undertale, because I love those games but never actually bought them. Now I have and showed my support for them. Bought Overwatch at launch and I don't think I've bought anything else since. I'm not as into playing games as I used to be, but Overwatch has really grabbed me. It's a new obsession for me. I mean I barely play zombies any more unless a new map comes out. I'm mostly into the story side of things now. Definitely a great game, even if the ending wasn't all that satisfying. It's a fun ride. @RadZakpakYup and you don't need to buy or even play Zombies to know the story anymore. Just Youtube. @BlurryfaceLife is Strange is AWESOME. Great, emotional story. I thought the endings were good in my opinion. Tough to choose though. @Lord HalSkyrim has a multiplayer mod? That actually works? I'm a Fallout fan and the only time a multiplayer mod was tried, it was so buggy to be unusable most of the time. 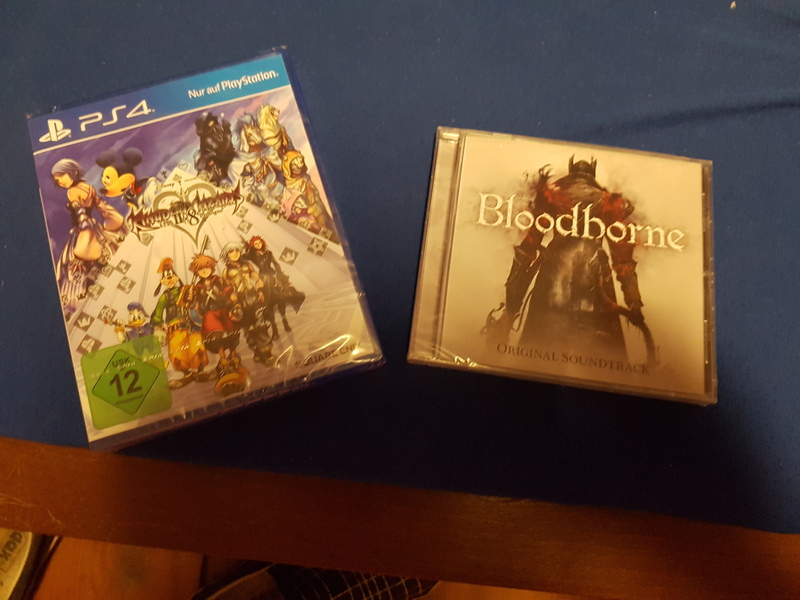 You've reminded me of how frugal I am with my money-- I haven't bought a new game since Persona 4 Golden back in February. That game is god tier, by the way. Easily in my top 5. The characters are so relatable and fun, and a lot of that has to do with the way the game is structured. Sorta a life simulator with turn based dungeon crawling sections. Definitely recommend it if you have a PS Vita or PSTV (costs only like $40), or alternatively buying the original P4 off the PS3's store. I think I also got the Mass Effect Trilogy and Metal Gear Rising for my birthday if those count... MGR actually kinda sucked, and I can't keep my attention on ME1. Not gonna give up on it until I at least try ME2, though. Who is this? Please give Lenne back his account. kthx. and I can't keep my attention on ME1. ME2's combat on the other hand is amazing. See you online this weekend, @Slade. Probs gonna get World of Final Fantasy real soon. If not that, than Final Fantasy XV. I can't believe it's so close. Call of Duty: Infinite Warfare Digital Deluxe Edition. Batman Return to Arkham and GOW are on my wanted list, GOW 4 any good? Battlefield is top notch folks. I also recently bought the Bioshock collection... forgot to mention that. Not yet. Not sure if I want to wait till it gets a bit cheaper or not. I'll definitely get it, but not sure if I'd pay full price for it right now. 2:30 am makes for the best grammar.